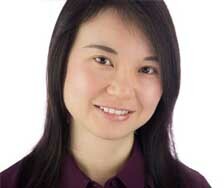 Sophia Ding is an integrated sales person in the real estate industry. Prior to joining Marketing Projects – SEQ, Sophia has worked for one of Australia’s biggest real estate corporate firms, Colliers International, for 4 years. Having then had a close working relationship directly with prominent developers, Sophia has been involved in selling some of the most successful projects yet, with a majority of the off-the-plan sales in the last twelve months secured by Chinese investors. Playing a crucial role in securing sales, Sophia is a qualified translator and seamlessly communicates in both English and Mandarin. Having been embraced by the Sales Team’s culture of industry leadership, Sophia is intent on enhancing the success of future projects. Previous engagements in marketing and sales have also led her to nurture the respect, attention to detail and tenacity that this competitive industry demands. Loyalty, honesty, consistency, and a desire to earn the trust of investors are always paramount objectives. Sophia’s tertiary qualifications in English Literature ensure that the communication of project information is delivered accurately. Prior to Sophia’s time at Colliers International she worked for one of the highest volume network selling groups on the Gold Coast and in Shanghai. During this time, Sophia was directly involved in organizing and selling new projects at seminars and exhibitions. As a student embarking on a new life in an adoptive land and culture, the prospect of securing a new home initially seemed a bewildering task. Please accept my heartfelt thanks for ensuring an informed and pleasant settlement of my first property in Australia. I would like to take this opportunity to thank Sophia for all her time, assistance and hard work for the settlement of our property. Sophiapresented the professionalism to me with her real estate experience, patience, honesty and attention to details, since I first met her. I have had the pleasure of working with Sophia Ding for the past 14 months at Austra Group Pty Ltd. All of my dealings with Sophia have been very positive, and I have found her to be a hard-working and thoroughly reliable member of our staff. Sophia has taken on a variety of roles within Austra Group, and has always shown a willingness to co-operate with all of us in the firm.